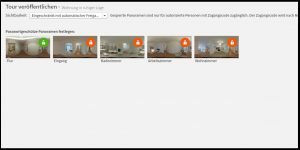 Under Access Control in the editing section of your 360-degree-tour, you can manage the password protection for individual images of your 360-degree-tour. The following publishing modes can be selected in under Tour Settings in the editing section of your 360-degree-tour. 1. Public – Tours in public mode can be viewed anonymously without registration by everyone who has the individual tour link. All images in the tour are visible without restriction. Note: In public mode, the behavior of anonymous users is recorded in the general tour statistics. 2. Restricted access (with automatic or manual authorization) – The authorization to view images with enabled password protection is granted manually or automatically to users after their registration. 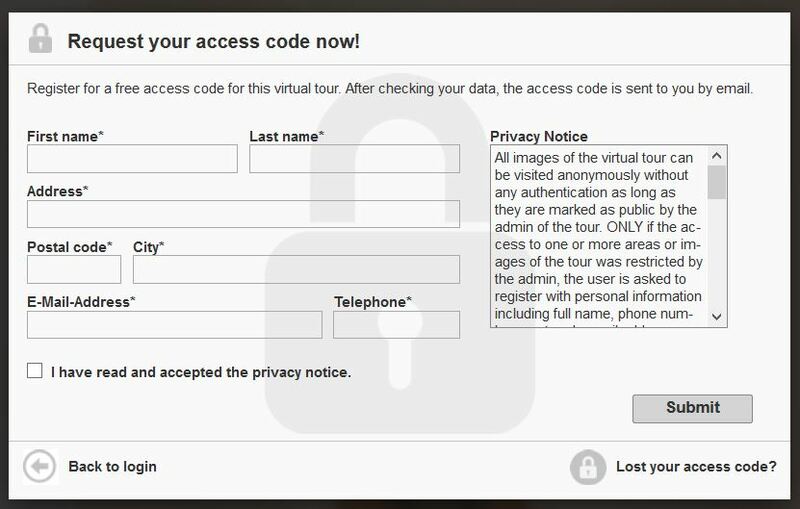 Note: The behavior of registered users will also be recorded for the individual statistics after they entered their access code in the tour. After selection Restricted Access as the publishing mode for your 360-degree-tour, you can enable/disable the password protection for each image individually under Access Control in the editing section of your 360-degree-tour. 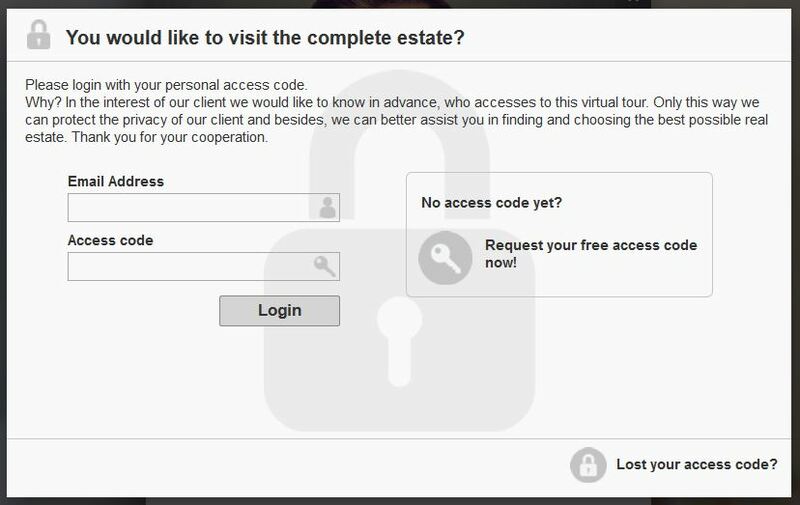 As soon as users in your 360-degree-tour try to enter a 360-degree-images for which the access is restricted, they will be asked to enter their e-mail address and their personal access code. Unauthorized users can request an access code by completing the registration form. After finishing their registration, they will receive their access code automatically via e-mail or after manual confirmation by the Contact Person assigned to your tour.